Ichiro's return isn't the only good news out of Safeco Field. 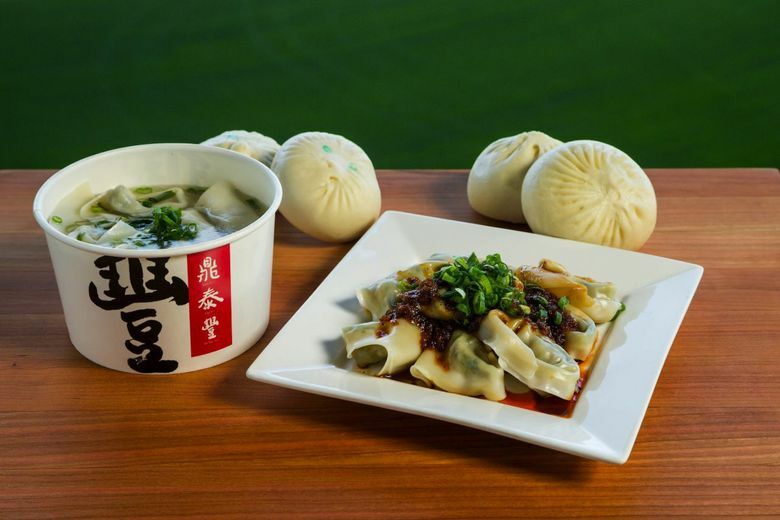 Din Tai Fung and Jack's BBQ will be served at home games. Also, lobster rolls! In our best Tom Hutyler voice, here’s your new food lineup for the 2018 Seattle Mariners season. Yes, Din Tai Fung is coming. But no, it can’t make a zillion soup dumplings between innings. But there will be Central Texas-style briskets from Jack’s BBQ and Ethan Stowell’s spin on the ballpark favorite, garlic fries. Prices have not been finalized yet. The Taiwan-based chain offers pork wontons with spicy sauce, wonton soup, steamed bao buns with pork or a vegetarian option (bok choy, tofu, mushrooms and vermicelli noodles). There’s also garlic string beans, chicken fried rice, boba tea and hot and sour soup. Expect beef brisket sandwiches, pulled pork and smoked jalapeño-cheddar sausages, served on a bun or dipped in buttermilk hush puppy batter and fried. There’s also burnt ends, Frito pie and hush puppies. Ethan Stowell’s food from Bramling Cross restaurant in Ballard includes fried chicken sandwiches, hot wings, tater tots (with Beecher’s cheddar cheese, bacon, garlic and spicy yellow peppers), jalapeño poppers and fries with fresh garlic and parm. The three new options are pork meatballs with marinara sauce, a Cubano (pulled pork, ham, Swiss cheese and house-made mojo sauce) and a Reuben (corned beef, Swiss cheese, sauerkraut and Thousand Island dressing on a rye baguette). This fish-and-chip spot offers lobster rolls, claw meat with garlic-celery aioli on a King’s Hawaiian roll. Expect house-smoked longbone beef ribs on a bed of coleslaw. House-made mini donuts and donut bites come with choice of toppings and dipping sauces including maple syrup and bacon, caramel sauce, powdered sugar or frosting.